A unique and compact approach to having extra large screwdriver blades readily available. One end fits any tuning lever tip, and the other accepts the four large screwdriver tips. Included are 5/16" and 1/2" large blades and a # 2 and # 4 phillips blade. 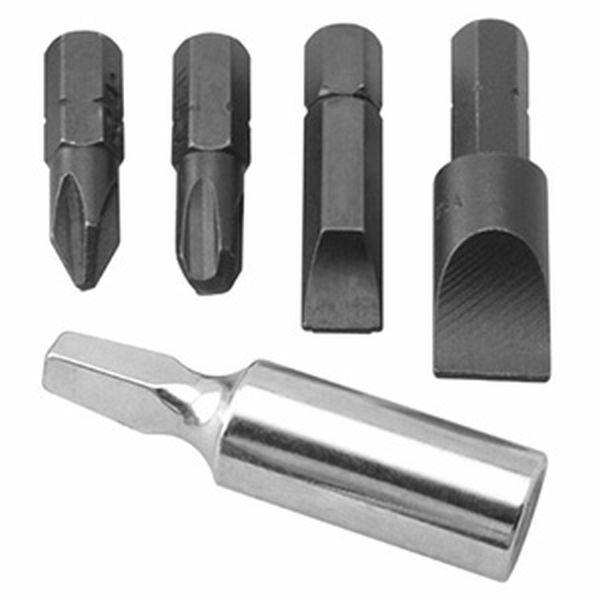 The 2" long chuck holder is nickel plated, the screwdriver blades are black oxide.